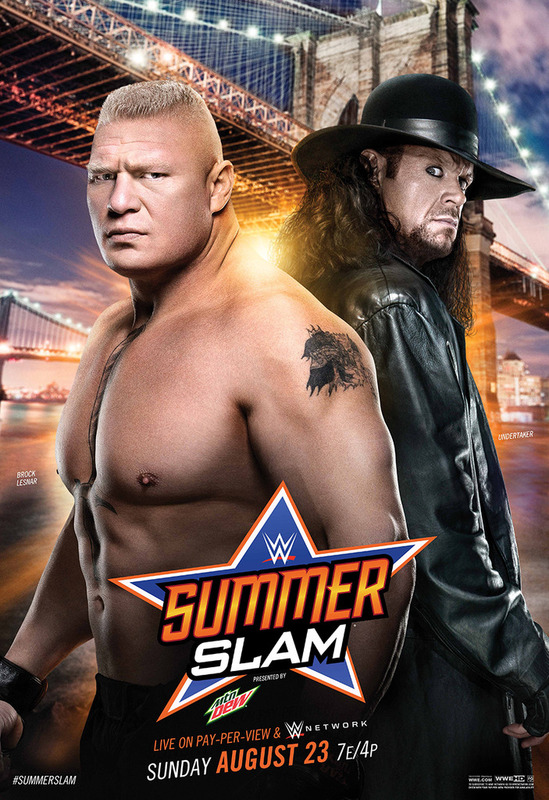 WWE deserved a lot of credit for building up this four-hour long, Brooklyn-bred edition of SummerSlam. You had the pure marquee matches (Seth Rollins-John Cena “Title For Title,” Brock Lesnar-The Undertaker “The Rematch Too Big For WrestleMania,” etc. ), a sure-fire Tag Team spotfest, celebrity involvement (Jon Stewart, Stephen Amell) and much more. It’s not to say the entertainment factor didn’t strike us with the desired reaction, it’s just an example of how shoddy overbooking can override what would otherwise be fun on its own. Let’s get to all of that stuff below.